So the plot thickens, never has one crag been the location for so much scandal and mystery! Just now (Sunday) Brian opened Kleptomaniac (30), a very steep, very tricky line taking the steepest section on the ‘Man-Cave’, about 10 metres left of the as yet unrepeated Violent Streak (the only other route there). About to enter the steepness of Kleptomaniac (30) which finishes left of the wonderful limestone-like streaks. There are no routes on any of that blank rock to the left or right, my guess 8c minumum! Pic by Ebert Nel (Forket). Though I bolted the line, after day 1 Brian looked so much better on the route than me (I can only crimp), that to deny him the opening send would have been wrong. I have opened enough routes at Choss…. but that’s the next part. Why Kleptomaniac? Because of the theft which occurred..on the route! We arrived on Saturday to find someone had prusiked halfway up my fixed line (still there from the bolting), stolen 5-6 quickdraws, abbed to the ground to cut the rope there and make off with about 50 metres of it (and then go onto steal 3 draws off Fossil Fuel), leaving 10 metres hanging in the breeze. However, this thief is really, really dumb. Firstly, this dumbo was the only person to have signed in the register mid-week, then he posts a picture on Facebook climbing that same day at Choss, and guess what.. in the pictures are my draws with my white paint marking on them! What a chop! Anyway, to cut a long story short, we tracked him down, he confessed, left all our kit with the guards at his complex and I picked them up today, not more than 48 hours after he stole them. What an oaf. My rope cut, the rest stolen, as I found it on Saturday morning. Next, back in March it was my turn for theft! This time in full view of half-a-dozen Chosspilers. Being pumped up from sending Shadowfax, I was on a high, able to send anything with bolts on it, you know the feeling. Dewald Kloppers had been working an old project of Colin (older than the damn-wall) Crabtree; just left of Grimslade, up at the Lord of The Rings sector. Dewald had rebolted it and made it a closed project. One day he asked me to play on it with him – big mistake! I found myself back at Choss a couple of weeks later, with nothing to do and getting back on big D’s project. Next minute, I was looking at the chains – dilemma, should I clip them?? Hell yeah, with Colin down below shouting “F*&k Dewald, I bolted this thing 30 years ago, it’s my project, send it!” So I did. 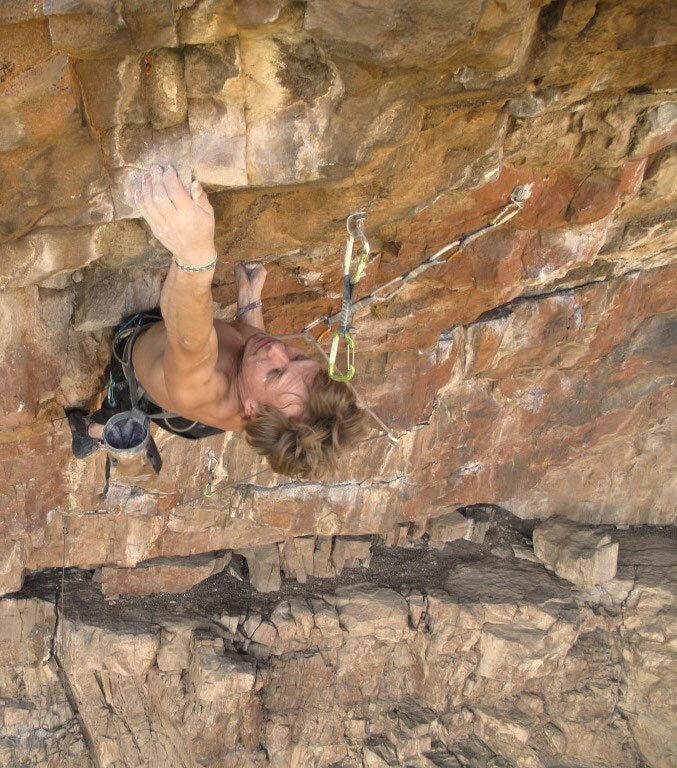 An irreversible ethical transgression (sport climbing does have them); yeh I know, Colin did bolt it, but Dewald had asked me not to open it and it’s best to respect the wishes of good people, especially if they have 30 kilogram biceps; I still have nightmares about him throttling me. So, another tale, another quality line – this time ‘Biodiesel, 30’, subsequently repeated by a few of the gang. Finally, and furthest back in this notorious chapter in the life of Choss in early March, I finally sent the long-standing ‘Shadowfax’ project. Bolted by Peter Martin over a decade ago, this climb was rebolted by myself a few years back, adding a new start. Since then it rejected would-be ascentionists literally hundreds of times (mostly me). I even bear scars where the damn thing sliced my arm open like a sausage when a hold crumbled. I managed to shut out the failure completely, after falling above the wretched crux enough, I left it to sweat in the summer heat of 2012/13, no-one to even brush its silly slopey holds. Then, bam, first day back there this season (first cool day) I floated up it feeling like it was 4 grades within my limit, yet at my absolute limit, feeling like perfection as is the case infrequently. Feeling it to be as hard as anything else I had done, I gave it 33 and kept the cool name of Peter’s. Definitely the hardest climb up ‘north’ it should keep the fellas busy for a few months; Brian and Forket are out there as you read, champing for the coveted second. My money’s on both of them, they are strong and keen. Brian Weaver about to take the silly slopey hold on Shadowfax, 33. Pic by AP. 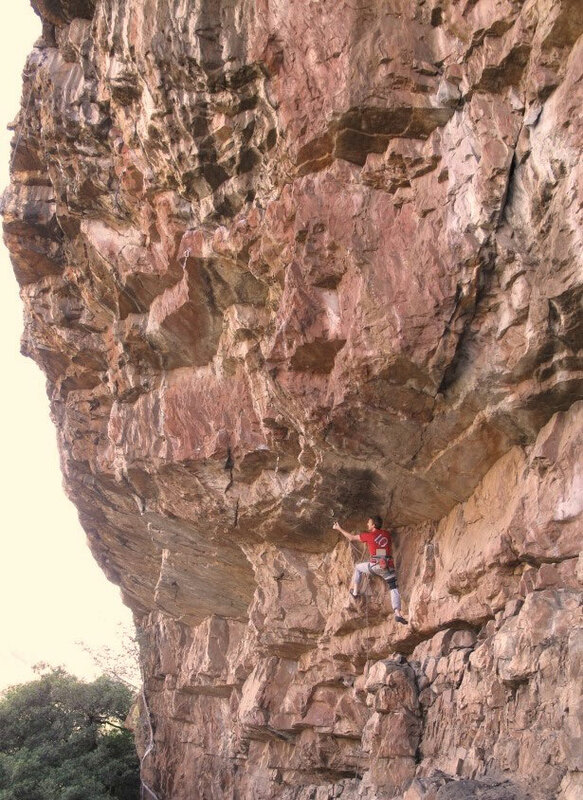 So Choss, aka ‘the best sport crag in SA after Boven, Outdshoorn and Umgeni’ now has some great new lines to try, each with a plot straight out of ‘Days of Our Lives’- a crazy steep sustained new 5-star 30 (Kleptomaniac), a fingery as hell 30 (just watch out for Dewald), and a wretched 33 (which I grew to hate but am pleased to have opened). And the crag is even better for the theft, guilt, more thieving, fear, stupidity, stupidity, arrogance, apologies, tears and of course huge psyche which I didn’t dwell on but runs deep at the Choss. 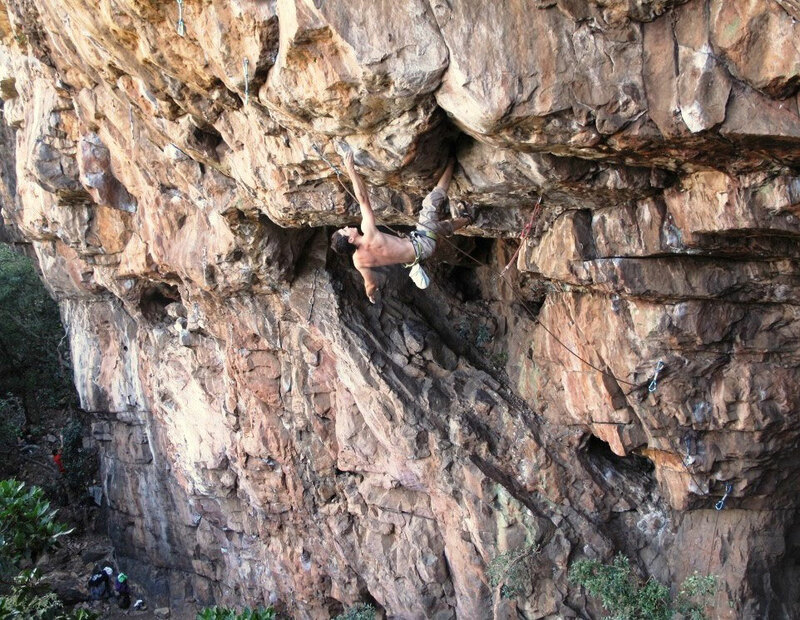 Andrew climbs with 5.10 shoes, Mammut Ropes and uses ‘Flashed’ Draws unless they have been stolen. You can read the apology from the thief on the forum. Wow! Sounds like you have enough material there to get Wilber Smith involved. Chapter 1 would be about the whole theft incident. From what I read in the forum, I think that you are dealing with it in a very mature and appropriate manner by resisting the natural urge for retribution. You obviously see the value in rehabilitating someone as opposed to condeming them outright. Chapter 2 would be about climbing ethics. Dewald is one of the nicest guys around, which is why it is difficult to understand why you’d go against his wishes and open his closed project. Anyone who knows Dewald would bet their life’s savings that he would never think of jumping onto a closed project. In your article you seem to blame the “heat of the moment” for choosing to listen to Colin instead of your better judgement. Truth is you should never have been on that line. Have you apologised to Dewald? Nothing mentioned about that in the article. Chapter 3 would be about all the development that is happening at the Choss. Well done to you in particular, but also to Ebert, Brian and the others. Looks like you are breathing new life into the place. I’m sure that some of the early bolters would struggle to conceive of how you’d place bolts on some of those lines, let alone climb them. 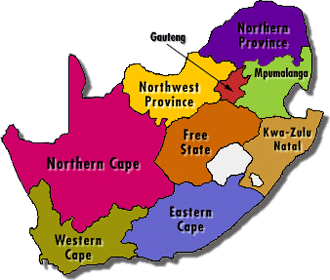 Hey Danny, Yes LOTS going on in Magaliesberg, we have Narrowkloof too which is really good which is why you don’t see me at Boven much these days, also harder with wee Geoffrey .. though we will be there over long weekend en famille. BTW. I want to go look at the big dolomite cliff before Graskop..Neil says he liked it but said you had reservations? Yes I apologised to big D, the very same day. These days I make all my projects open, perhaps as a way of dealing with my biodiesel transgression, should I see a shrink? BTBTW: Folks, I fell off Brians Kleptomaniac yesterday, its HARD, not 30 unless you have Brians uncanny ability to kneebar, Dylan also thinks so, prob 31, but brilliant, best route at Choss along with Fossil and Shortcut to’ shrooms. The NWU climbing committee would like to apologize to Andrew on behalf of the resent “indiscretion” at Chosspile. We are shamed that the common “ethical” values of crag etiquette has been injured as a result of one of our beginner climbers. However we understand human nature and the fact that everyone at some point has a weak moment in life. 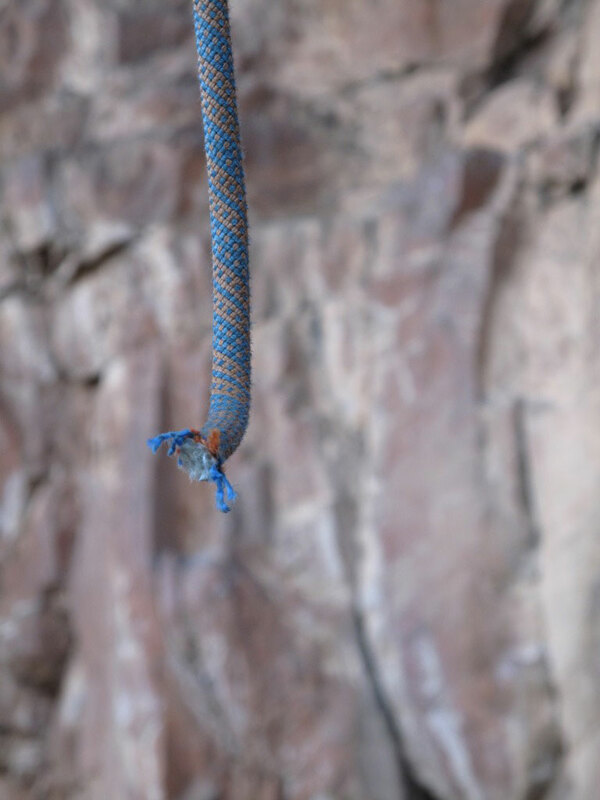 We are embarrassed of this theft and the way it indirectly reflects on climbers. In one way or the other amends will be made to Andrew. We hope all can be forgiven and corrected to the involved parties. This was wrapped up days ago and is now getting weird. All good so lets move on. Hanno and I are hitting Chos together soon. Sometimes all that is needed are mentors and peers which is difficult in SA as there is little mixing of newbies and experienced climbers. Maybe it will improve when we have a proper climbing wall in Jozi. Andrew, your attitude and spirit is spot on, bru!